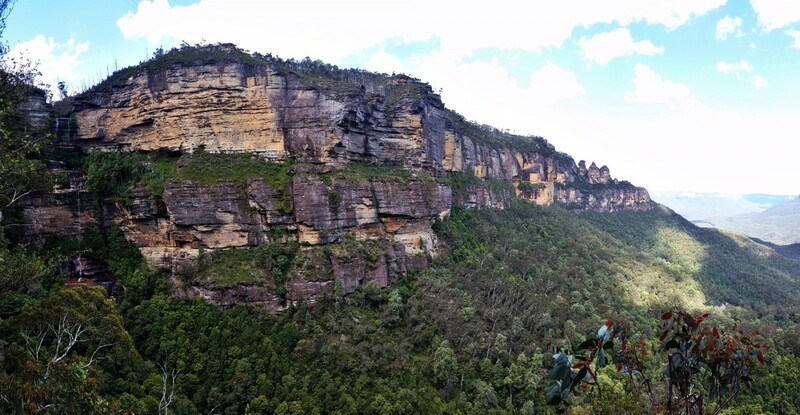 After our tour of Tasmania, we had a few days in Sydney before we were due to head home. 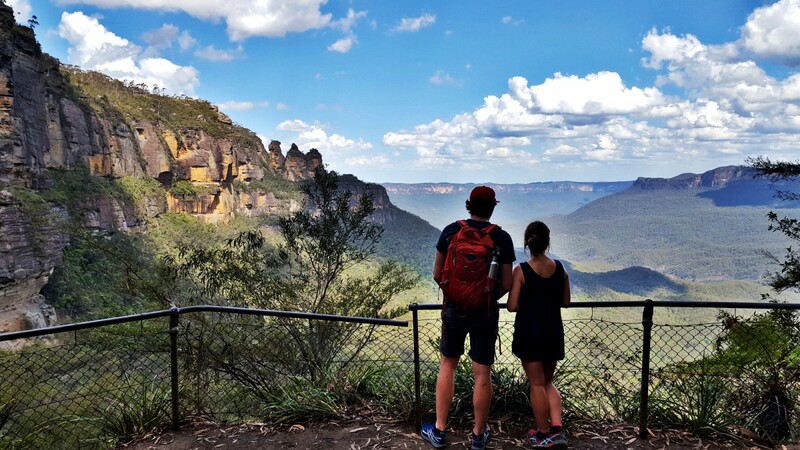 We took the opportunity to head 2 hours by car west of Sydney to the famous World Heritage listed Blue Mountains National Park. 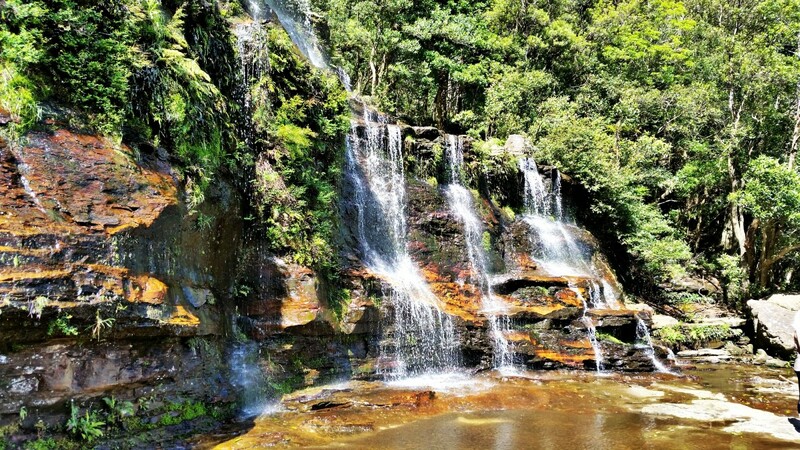 We were just dipping our toes into a tiny piece in the south of the 267,000 hectare protected area which boasts a trail network in excess of 140 kilometres and is home to the Ultra Trail Australia race, part of the Ultra Trail World Tour and an event which our very own Ryan Sandes won in 2012 (back when it was still called The North Face 100). 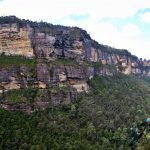 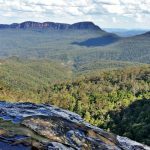 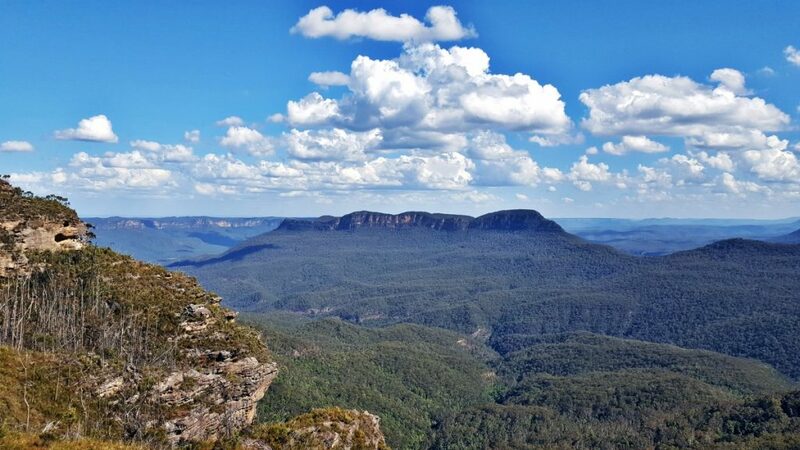 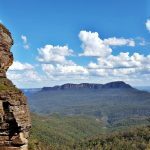 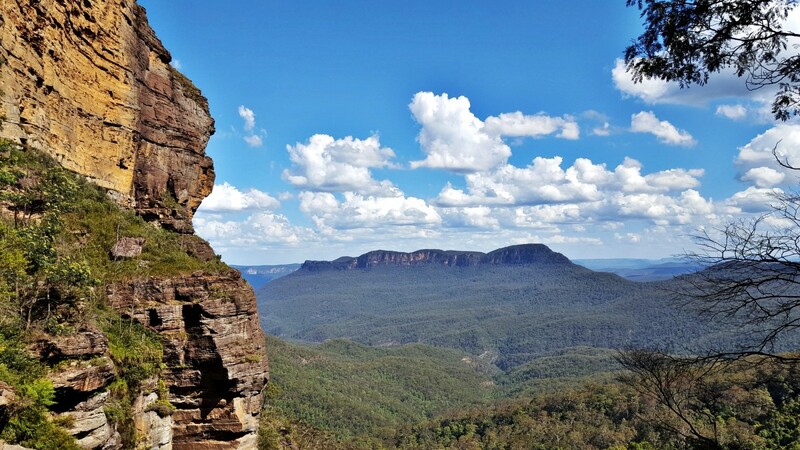 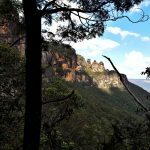 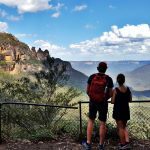 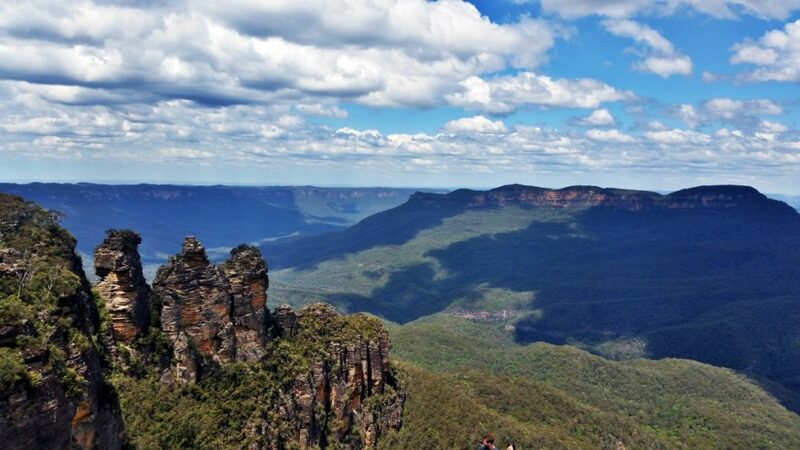 We exchanged wheels for shoes in the tourist-swamped town of Katoomba, and set out on the Three Sisters Track which is a very busy but easy stroll from the visitors centre to the iconic Three Sisters sandstone rock formations. 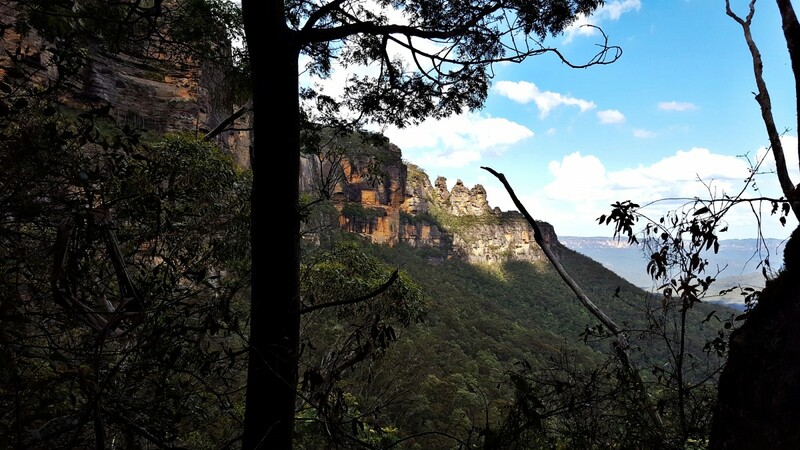 Thankfully, this seems to be as far as 95% of the visitors come, and from the Three Sisters, we began our long steep descent down the Giants Stairway to the valley floor below. 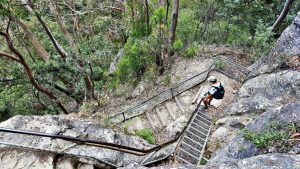 The Giants Stairway is an intense experience as it drops you nearly 200m down in less than a kilometre. 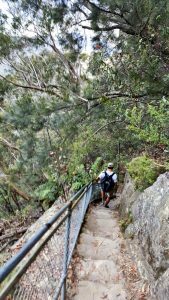 The trail infrastructure is good and there are lots of railings to hold onto for safety, but with backpacks fully laden with lunch supplies, you really feel a different kind of fatigue in the loading of the leg muscles and knees with each unrelenting step down. 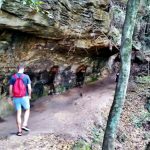 At the bottom, once we were well within the jungle-like environment, we then linked up with the comparatively flat Dardanelle’s Pass trail which would take us a little way south around the spur at the foot of the Three Sisters above us, and then intersect with the Federal Pass which would lead us westward. 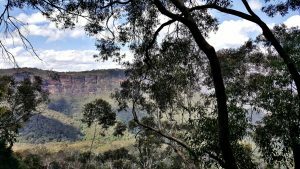 The trail runs along the lower contours at the foot of the ridge and cuts through forest with some impressively large trees. 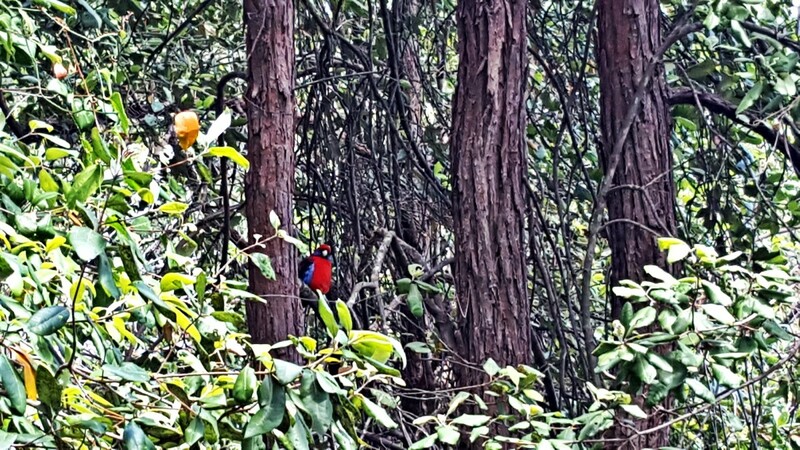 Bird life again is abundant and we saw one parrot-like bird which some subsequent research suggests must have been a Crimson Rosella. 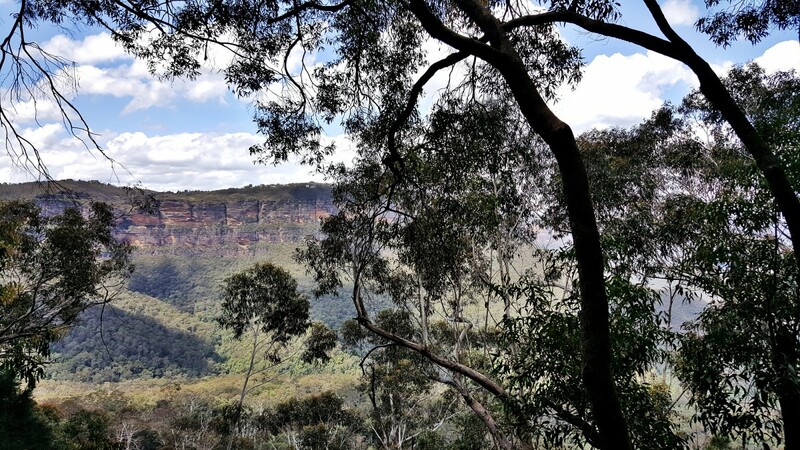 The forest occasionally gives way for scenic views off to the side but for the most part this is not one of those walks where you’re gazing off into the distance, but rather focusing your attention on your more immediate surroundings. 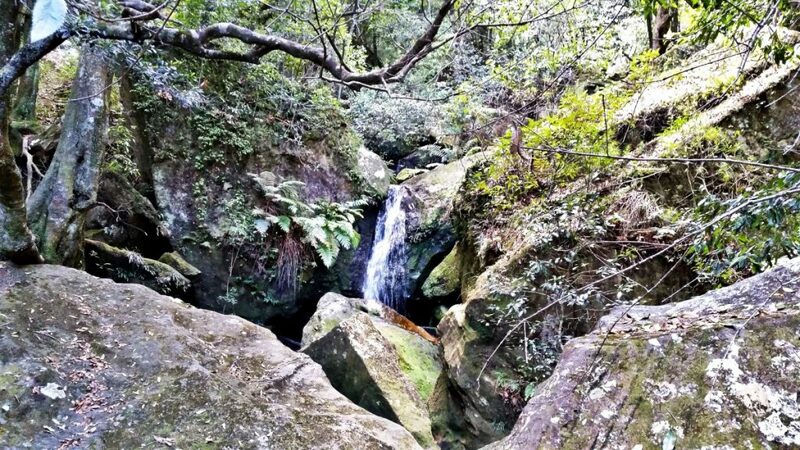 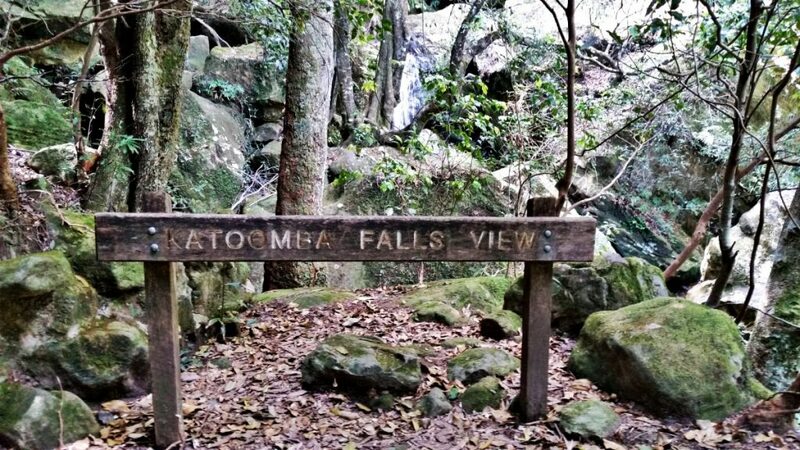 The atmosphere was cool and peaceful and approximately 2 kilometres after reaching the bottom of The Giants Stairway, we arrived at the foot of the Katoomba falls. 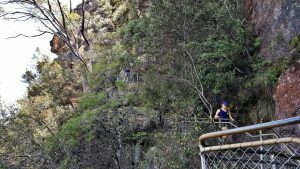 A picnic area sits right beside where the falls tumble down into the rocky ravine and it was here that we transferred some of our load from on our backs to into our stomachs. 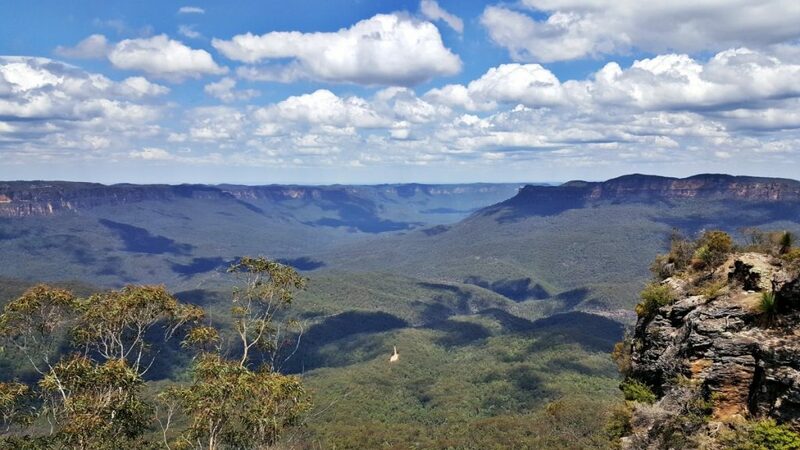 It was then time to ascend back up to Katoomba. 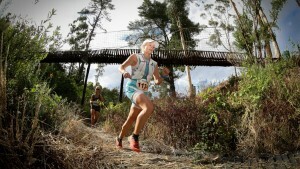 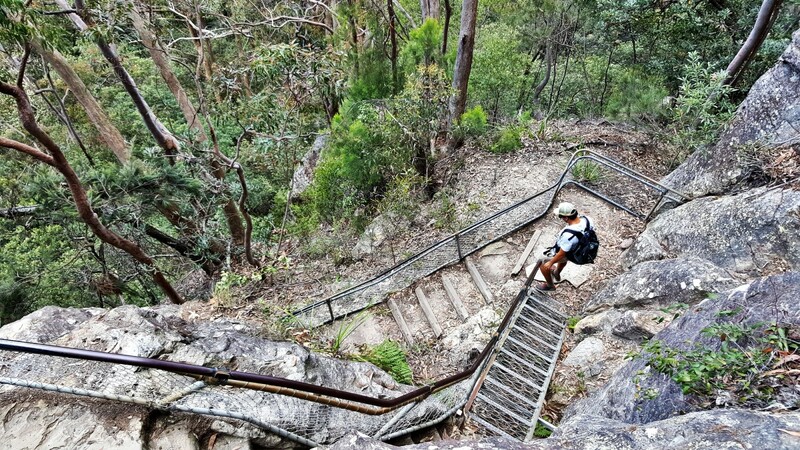 This would be achieved via the Furber Steps, which is also the finishing piece of the Ultra Trail Australia 100km route. 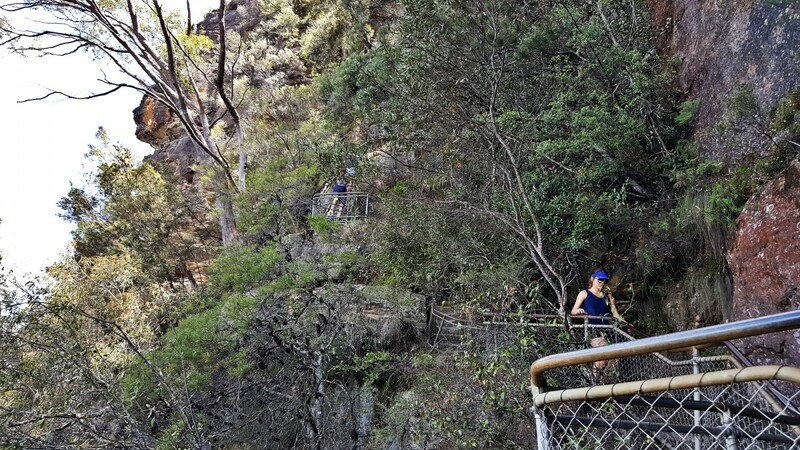 We certainly didn’t race up but we tried to imagine how seemingly endless these steps must feel to tired legs that have already completed 98km. 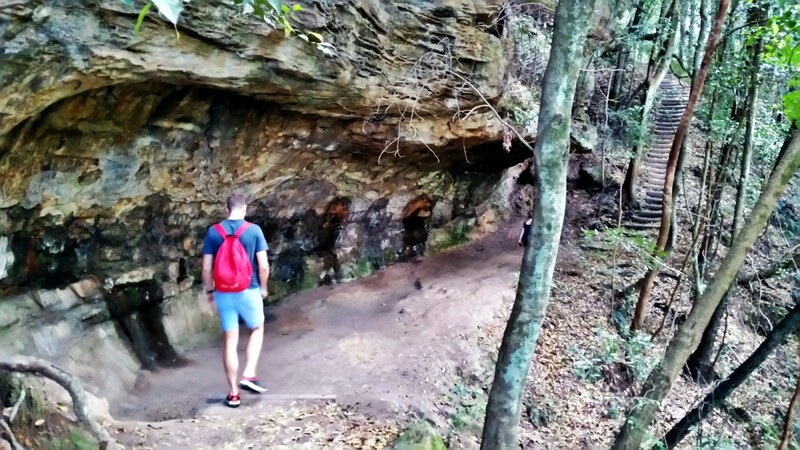 The trail cuts beneath caverns and the steps up have a number of viewpoints to catch your breath. 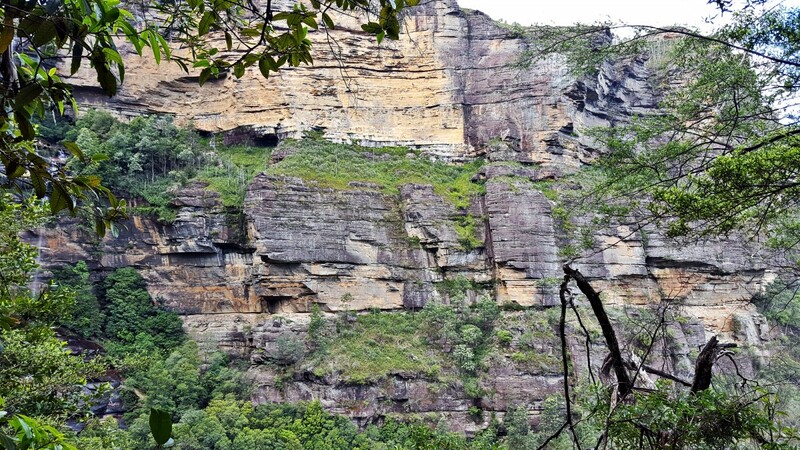 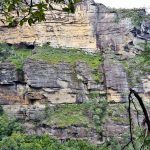 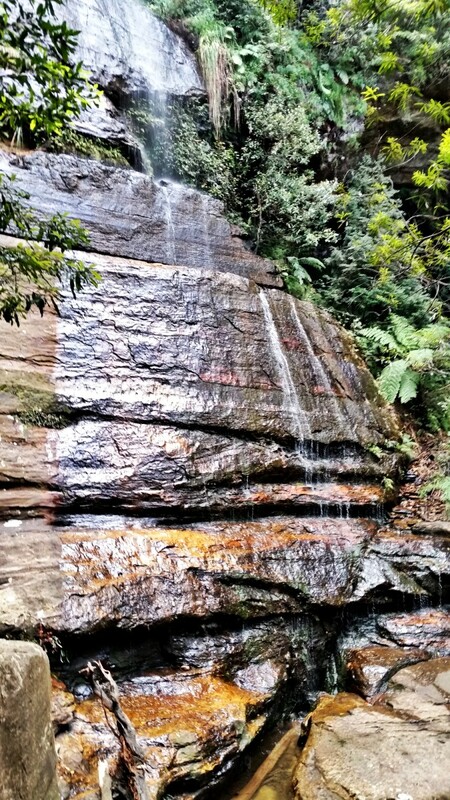 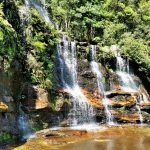 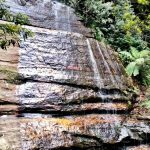 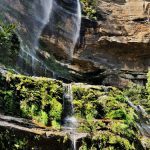 We veered off on a side route to get right up close to a middle tier of the Katoomba Falls, where a platform protrudes out from the cliff face to interrupt the upper half of the falls where the water dams up a little before crashing over the edge to the picnic site we had just come from. This is also a great spot to chill a while and take in the views. 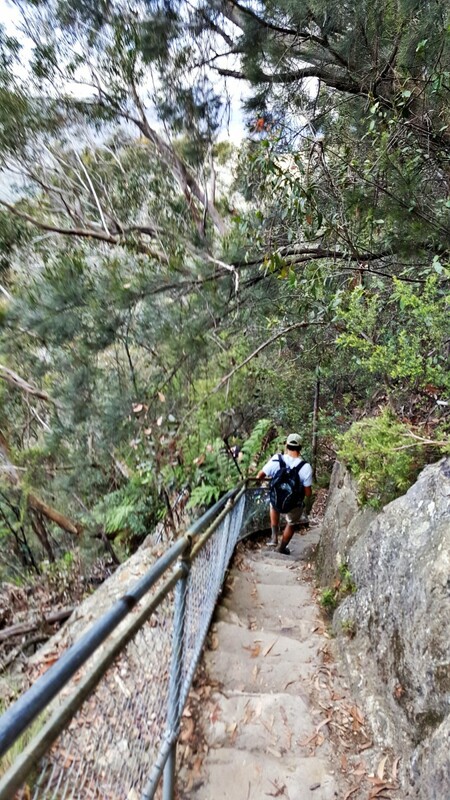 From there it was back to The Furber Steps to continue our fight against gravity. 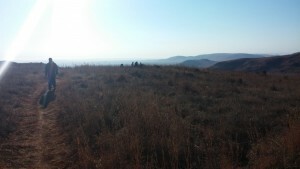 We finally emerged on the rim of the plateau having climbed a significant amount in a short distance. 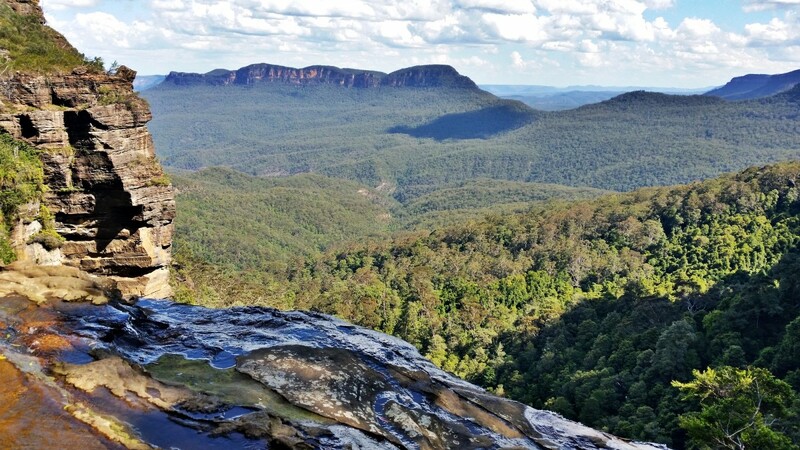 From here it was a leisurely 2 kilometre stroll on The Prince Henry Cliff Walk all the way along the edge, with numerous viewpoints looking out over the hazy blue forests, waterfalls and rock formations, finally ending our walk back where we began. 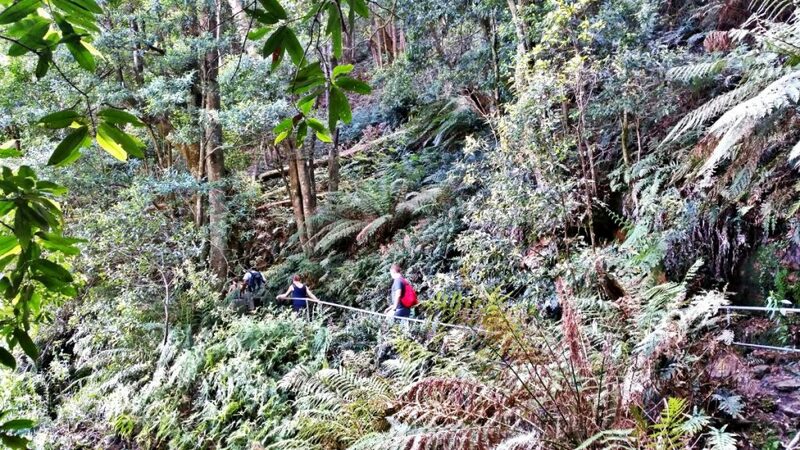 This was a 7 kilometre walk with one major, steep descent, and a similar ascent, but aside from that was an easy but richly rewarding route. 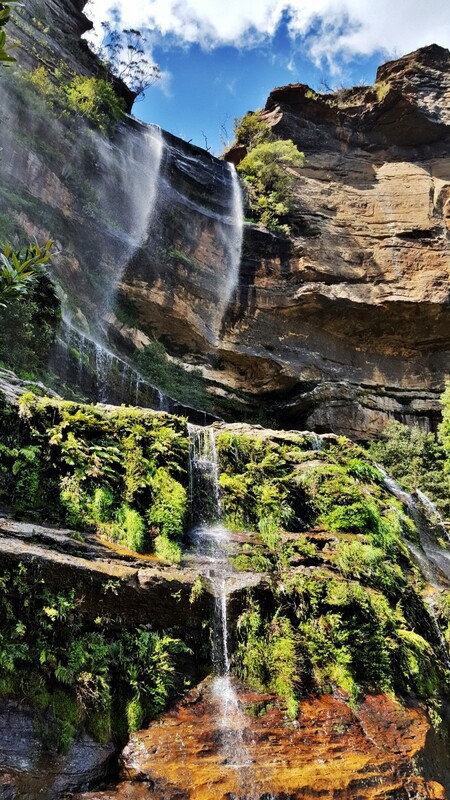 We started it just after lunchtime and managed to make it back for a farewell dip in the ocean at Bondi Beach before sunset. This concludes our series of walks from our visit to Australia. 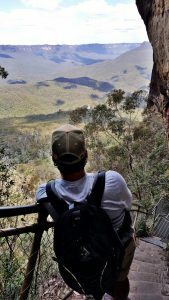 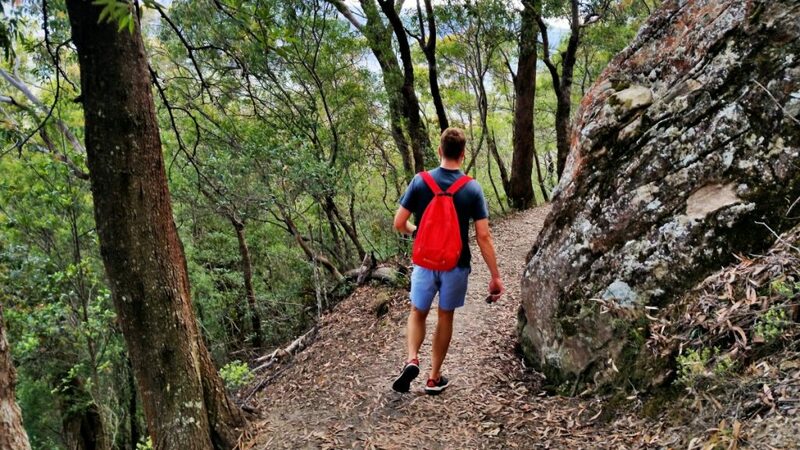 In our experience, Australia is a lot more than shrimps on the barbie and is a great destination for any trail or general outdoor enthusiasts which offers a wide variety of different types of trails with great accessibility.